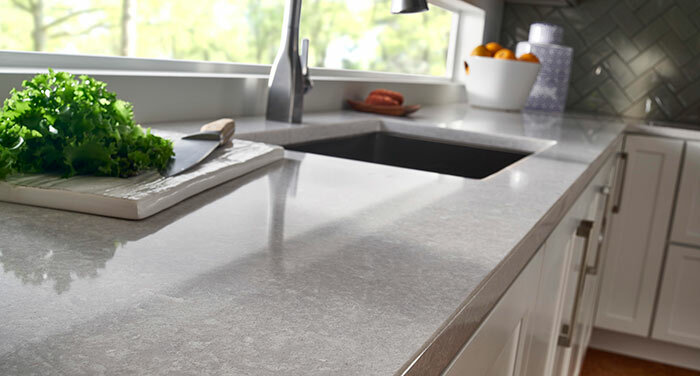 Representing the best in global design and state-of-the-art manufacturing, Wilsonart® Quartz is engineered to be tough – with a countertop surface that is stain and scratch resistant, and nonporous, so it never needs to be sealed. This high-tech manmade material is equally suited for the home as it is for a hospital, hotel, office or resort. As the earth’s second most abundant mineral, quartz offers unlimited opportunities for discovery among homeowners, architects and builders. The Wilsonart® Quartz collection includes 50 stunning designs, which showcase a full range of colors, textures and four structures: Fine and Small Scale, Medium Scale, Large Scale, and Veining and Movement. Find out more by clicking on the resources to the right.